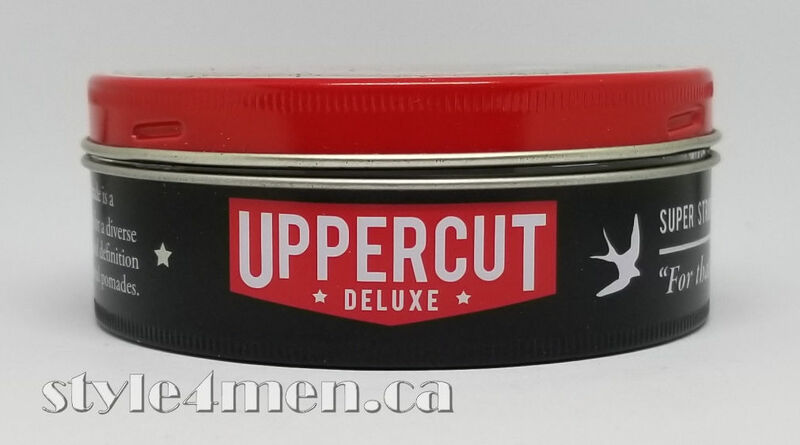 This pomade from Uppercut Deluxe presented such a cool packaging, that I just had to try it. Yeah, I am a sucker for good presentation. 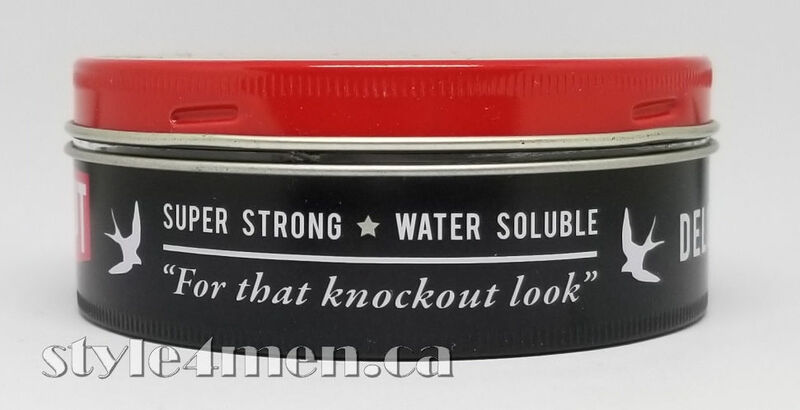 And at that this can did not disappoint; the pomades comes in a proper thin can, just as it should – totally old school. 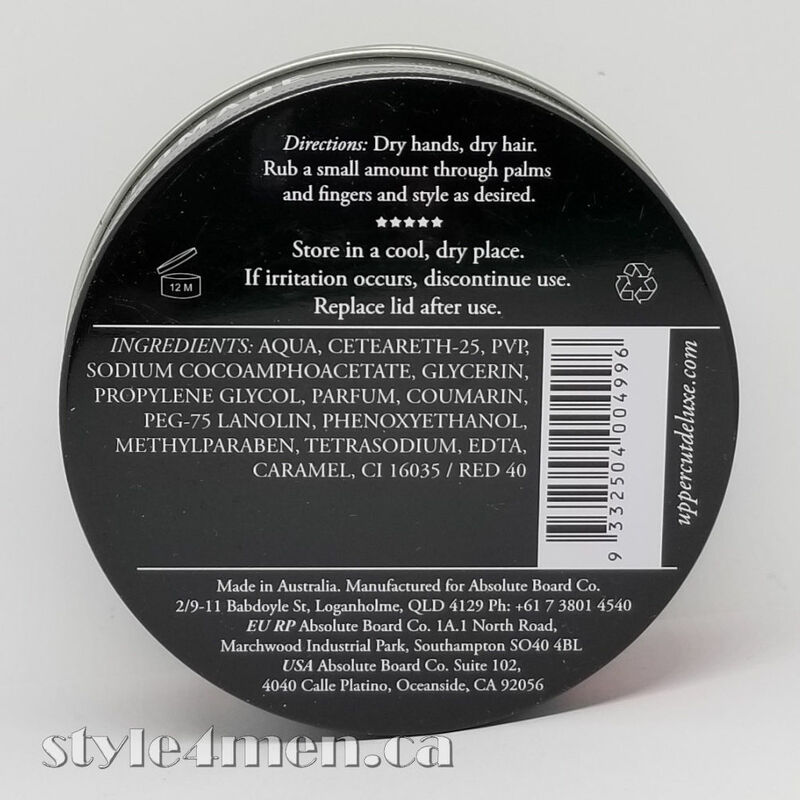 The pomade then greets you with this fabulous coconut – beach smell. We can believe that this is to speaks to its Australian origins. It being an Australian product also made it fairly hard to obtain here in Canada. It took me almost 2 months to find a seller in my price range. I love pomades, but remortgaging the house for a jar is not an option. The products itself looks very refined. It was also easy to work with. Note that it has what looks like an element of fiber. The hold is absolutely perfect and it dries properly as opposed to staying wet or active. Since this was such a nice product, I tried to stretch it out as along as I could – maybe 5 months. This led to a bit of unexpected surprise, the product did not survive all that well. All was fine and then one day, the pomade was all hard and white. It completely dried up from its previously rich and golden jello texture. 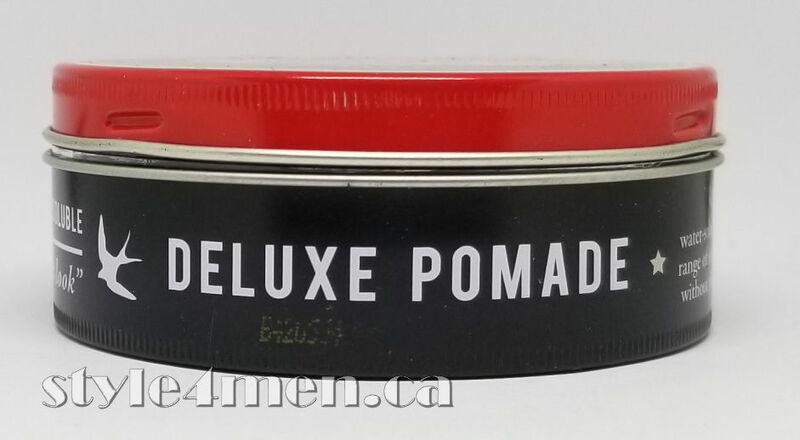 This is something I explored in the pomade shelf life post. 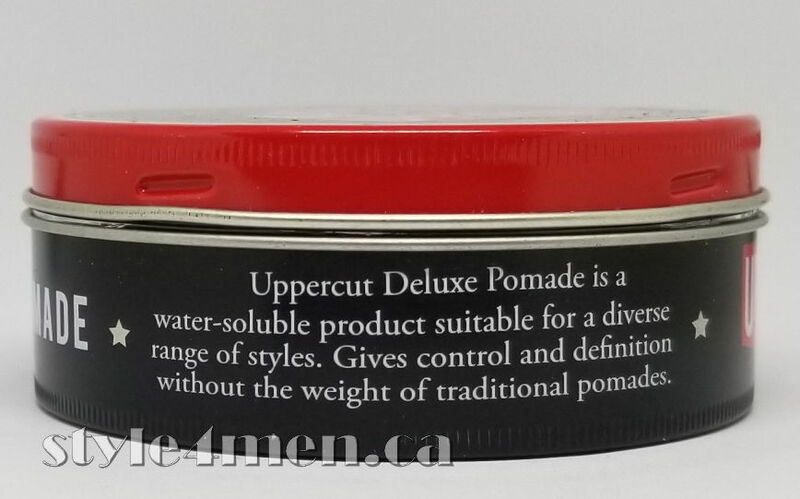 Basically, the Uppercut Deluxe pomade has a fairly short ingredient list as such you are not embarking in a chemical party, that also means that you will not be able to keep it forever. In my quest to find this product in Canada, I visited their site and chatted with some of their service people. The Uppercut site is awesome, just as their service. I recently updated the pictures to give you a more complete idea of what you are getting. Sadly, since this stuff was so awesome, it was all gone when I first posted this review and I haven’t had an opportunity to get a new jar as of yet.